The “Jews” themselves make the first direct statement about eating Jesus’ flesh, as they combine Jesus’ words in v.51 into one statement. What shocks the crowd is that until Jesus’ words in v. 51, Jesus’ language has focused on the metaphor of the bread of life, but now the metaphor shifts. The content of the crowd’s protest in v.52 makes clear that the sticking point is the language about “flesh”—namely, its use to refer to Jesus himself. Rudolf Bultman “maintains that the eucharistic references in these verses were imported into the text of the Fourth Gospel by a later editor in order to correct the anti-sacramental tendencies of the Fourth Evangelist.” This understanding of the whole of the Gospel of John and it sacramental theology is also held by many other German Protestant scholars – but note that it does hold some sacramental understanding. A German evangelical scholar Ernst Haenchen maintains that any inclusion of the sacraments contradicts “the heart of [the Evangelist’s] proclamation” This is also the view of D. A. Carson, a North American evangelical scholar who rejects the anti-sacramental reading, but because he does holds that the Fourth Gospel is not sacramental at all. The preeminent Johannine scholar, Fr. Raymond Brown adopts a middle-of-the-road position. He holds that vv. 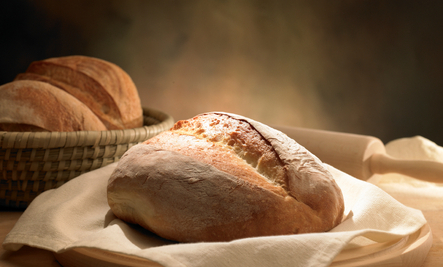 51–58 are the sacramental doublet of the more teaching-revelation oriented bread of life discourse of that occurs in vv. 35–50. Brown holds that b vv. 35–50 and vv. 51–58 preserve authentic Johannine traditions. He maintains that the doublet within the bread of life discourse complement each other along the lines of word and sacrament in the liturgy of the mass.